Comment: I would like to get an estimate for to blow in insulation for most of the house. Roll in insulation will go in the attic. Please call to schedule an appointment. Comment: Need 1500 sq/ft unfinished basement ceiling insulated. I'll provide the fiberglass and other materials. Just need an extra hand to finish the job in a day. Comment: 15oo sq/ft basement looking to insulate ceiling. Everett Insulation Contractors are rated 4.72 out of 5 based on 265 reviews of 14 pros. 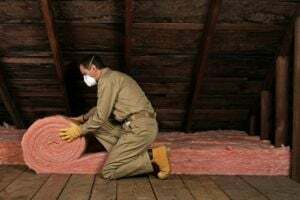 Not Looking for Insulation Contractors in Everett, MA?